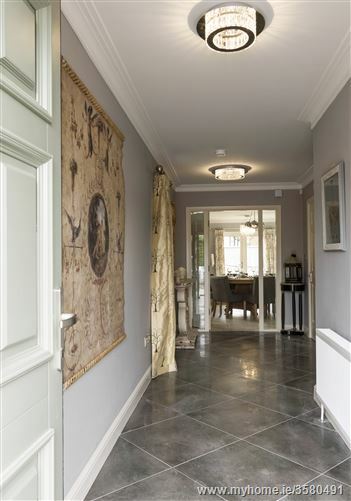 Hawthorn Gate - Modern living in a tranquil setting. 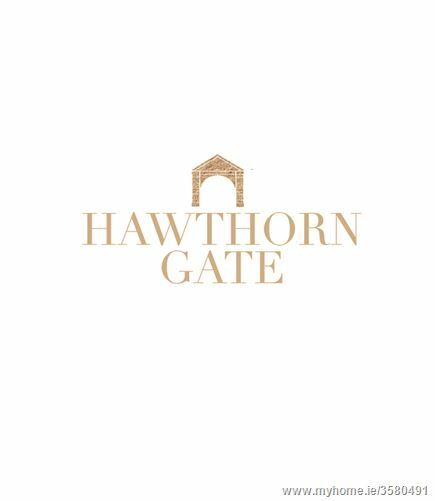 Hawthorn Gate will comprise of a beautiful blend of 2, 3, 4 and 5 bedroom ‘A –Rated’ traditionally built homes finished to an exceptional standard of specification offering a tranquil retreat from the clamour of modern life. 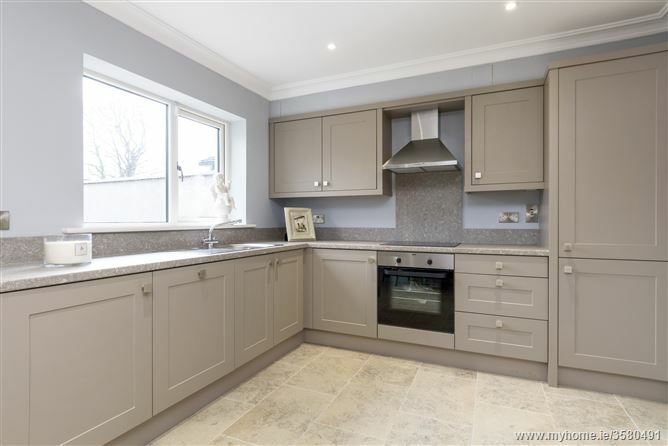 This special development is located on the Maynooth Road within short distance of a variety of amenities in and around the Celbridge and Maynooth areas. Part of the boundary walls for this development are the old stone walls for the nearby Castletown House. This unique feature gives these modern homes a tangible connection with the history of the locality. 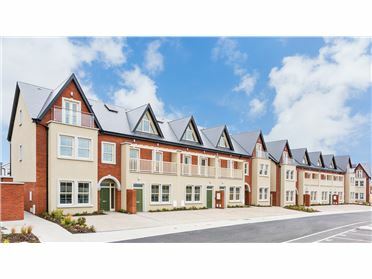 Celbridge, a charming historic town situated in Co. Kildare 23km West of Dublin is an established residential area which benefits from its proximity to Hazelhatch commuter train station, offering dependable frequent access to Dublin city centre in only 15 minutes. 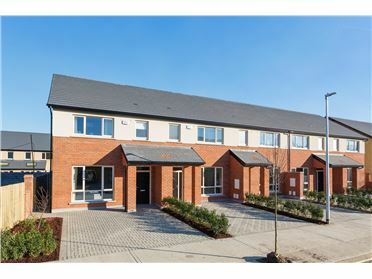 The new development Hawthorn Gate , on the Maynooth Road, conveniently located minutes off the N4 making Dublin City Centre, the M50 and the rest of the country easily accessible. 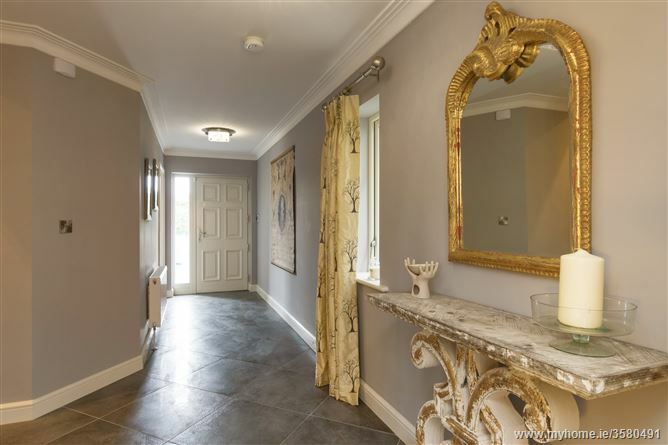 Enviably the 18th century manor house, Carton House, is less than 10 minutes from the development. 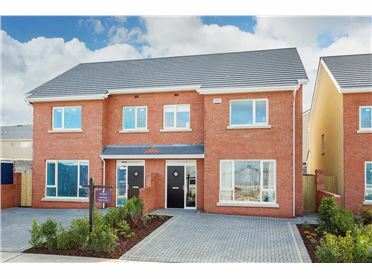 This remarkable location boasts a variety of amenities on its doorstep, including crèches, primary & secondary schools, with Maynooth University a mere 15 minutes’ drive away. Intel and HP are two of several major international companies who have chosen this area as their Irish base. 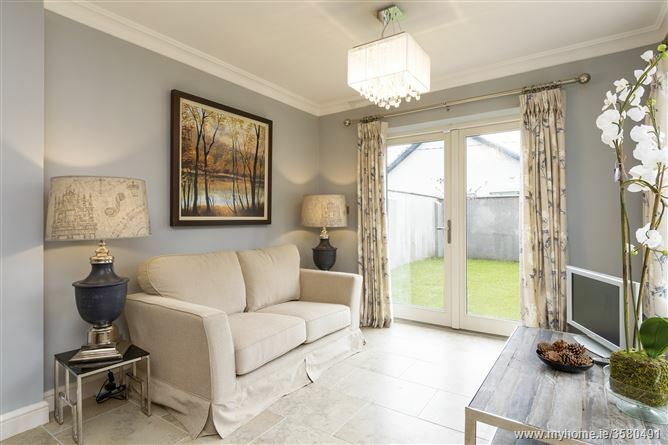 For the family, there is ample open parklands including Castletown Demesne, Ireland’s largest provincial park, offering serene settings for walking, cycling by the Liffey riverside or on the Grand Canal banks. 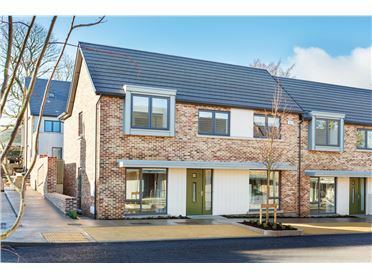 Aldi is conveniently located directly opposite the development with Tesco less than 5 minutes’ drive. The young children will be well impressed with the Play Zone based in Celbridge Business Park, less than 5 minutes from the development. 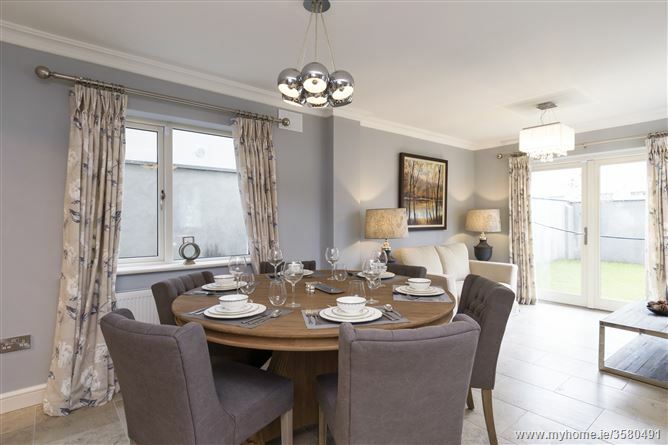 Celbridge, like its’ neighbouring towns, is blessed with a wide choice of shops, pubs and restaurants which creates a lively country life and sense of community providing a well-balanced quality of life. All within a short and easy drive to the capital. 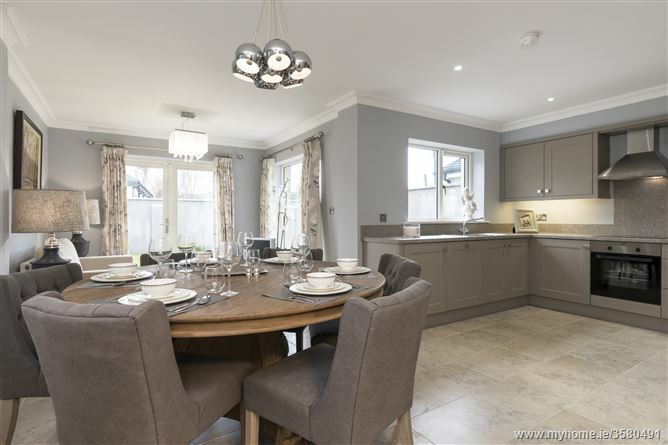 Model design, generous scope & superior specification. 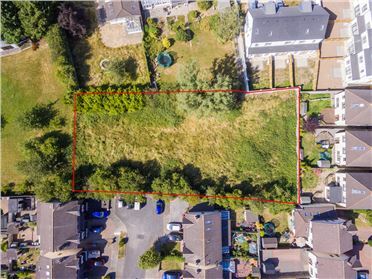 The development, set back from the main road giving a sense of privacy and security, will comprise of 2 & 3 bedroom terraced, 4 bedroom semi-detached & 5 bedroom detached 2 storey homes. The houses will be traditional in style with front & rear gardens with the added benefit of off street parking (4&5 beds). 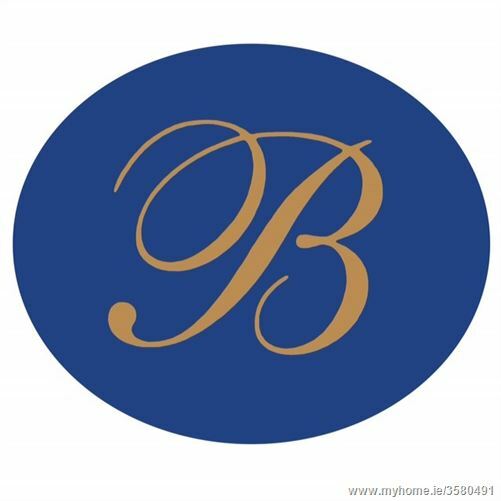 The houses will be generous in size with well-proportioned rooms and functional layout. 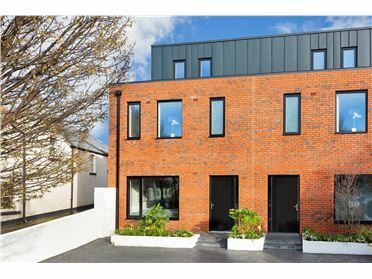 The design of these remarkable new houses will be spectacular, with exceptional finishes throughout. 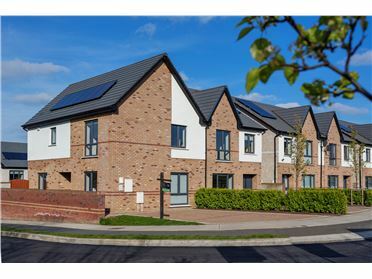 Each home will be designed to provide high end accommodation with custom fitted kitchens, 9ft ceiling heights on the ground floor and number of energy saving features comprising of innovative energy efficient condensing gas boiler, PV panels, and excellent standard of wall, floor & roof insulation that will vastly improve the efficiency of these ‘A3 Rated’ homes significantly reducing the running costs. 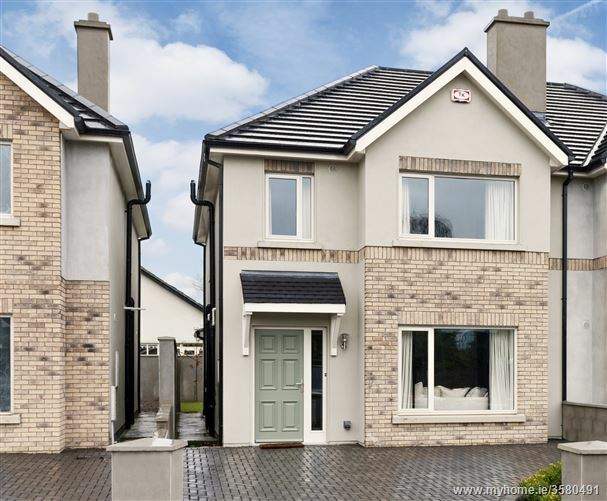 The external finishes will be of high quality brick render, all external windows and doors will be European hardwood with the added benefit of being low maintenance. Travelling from the N4, take Exit/ Junction 6 (second exit for Celbridge and Leixlip West) bringing you onto the R449. Travel past the Apple Green Service Station and take a left at the next T - junction heading towards Celbridge. Travel along this Road (the Maynooth Rd) until you see Aldi on your right hand side and the site is located on the left hand side (opposite Aldi).